This past weekend I had a booth at the Collingswood Book Festival. It was a great experience! Thank you to everyone who stopped by and purchased Jeremy Chikalto and the Hazy Souls and Jeremy Chikalto and Leviathan Island. The book festival also took place on my birthday, so you can only imagine how thrilled I was to meet new readers. :) Quite the birthday present. Below are some pictures of the booth. 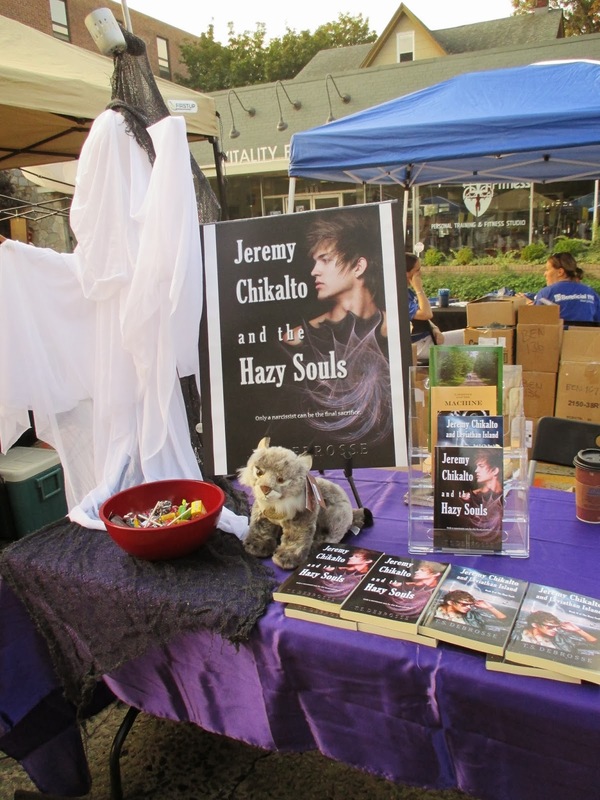 I featured Jeremy Chikalto and the Hazy Souls and Jeremy Chikalto and Leviathan Island. Also represented at the Viral Cat Booth were the Fall 2013 Issue of Viral Cat, Steep Stony Road by Daniel Picker, Lawrence and the Machine by Jesse Blair, and Mirabelle the Duck and Faline the Swan by Judith DeBrosse.